If you open Plus Network, it will look like a harmless website because it contains links to various articles, allows to check the local weather forecast, and shows search results. Even though it does not look harmful at all, it has been found that it usually appears on users’ browsers without their consent. Therefore, it is very likely that this website is nothing more than a browser hijacker. Unfortunately, Plus Network affects all browsers, including Internet Explorer, Google Chrome, and Mozilla Firefox, which means that you will have to delete Plus Network from all of them in order no longer see it set. To be frank, specialists suggest getting rid of Plus Network as soon as possible because its presence might cause you many problems. We have thoroughly described how Plus Network acts and what bad it can do to your computer in this article. How does Plus Network work? Even though Plus Network does not look dangerous at first glance, the truth is that it is an untrustworthy website that might cause harm to the computer quickly. It has been found that this website might contain links that will lead you to bad websites instead of taking to a website containing an interesting article. Also, it is not worth trusting its search results either. They might be full of commercial advertisements too. Just like links on the main page that look like articles, these promotional links might take to bad websites. These web pages might contain malicious software, e.g. adware, potentially unwanted programs, browser hijackers, etc. These threats might quickly end up on your computer. The developer of Plus Network simply seeks to get money from advertising these websites, so it does not care at all about the users’ safety. There is no point in keeping a website that might cause harm to the system set on browsers, so we suggest that you delete Plus Network right now. We are sure you will quickly find a website to replace it with. 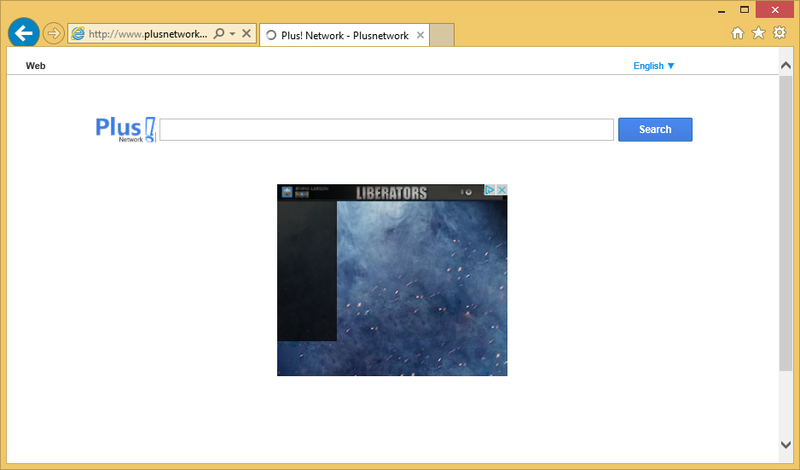 Why do I see Plus Network set on my browsers? Users often find it quite surprising that Plus Network has appeared on their browsers. Unfortunately, as malware experts have found, they are the ones who allow this threat to enter their computers. Users do that by agreeing to install a software bundle. Of course, they think that they are going to install a single application, usually freeware or shareware, from the web. We have only one piece of advice for you if you do not want to remove Plus Network or a similar threat again – you need to install a legitimate anti-malware/anti-spyware tool. How can I remove Plus Network? There are two ways to uninstall Plus Network: you can either go to delete the browser hijacker itself and then fix browsers or scan the computer with an automatic scanner. The automatic method is always the easiest one since users have to click one button to launch the scanner and one button to remove all the threats. Therefore, we suggest that you implement the automatic Plus Network removal instead of trying to get rid of it manually. The manual Plus Network removal is also possible, as has been mentioned in the first line of this paragraph, but it is definitely more difficult and more time-consuming.